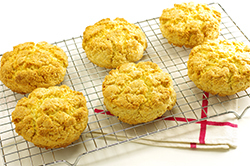 These cakelike scones are made in a snap and awfully delicious. 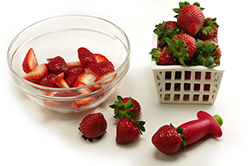 I like to eat them with strawberries, though really they go nicely with any kind of fruit. Preheat the oven to 375° F (190° C). 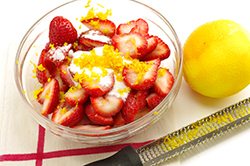 Put the strawberries into a big bowl and toss with 1/4 cup (50g) of the sugar and the orange zest. Let stand for 30 minutes. 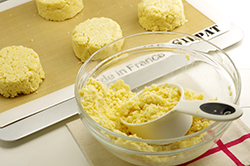 In a food processor, combine the flour, baking powder, the remaining 3/4 cup (150g) sugar, and the salt. Pulse briefly to combine. Then add the butter. Pulse to incorporate it. 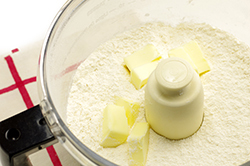 In a jug, whisk 1/2 cup (125g) of the cream with the eggs & vanilla, and add that to the butter-flour mixture. Pulse a few times, until the dough just about sticks together. 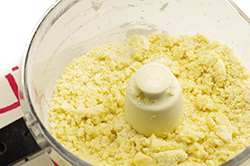 The secret to a tender & light cake is knowing when to stop mixing (really). With a well-greased scoop (I use a measuring cup.). Make 6 balls from the slightly sticky dough. Tap your scoop or dough falls out. Place the mounds far apart: they’ll rise a lot! 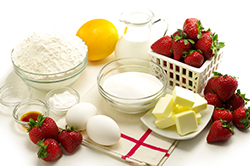 Bake the shortcake for 12 to 14 minutes, until golden. Meanwhile, whip the remaining cream until soft peaks form. 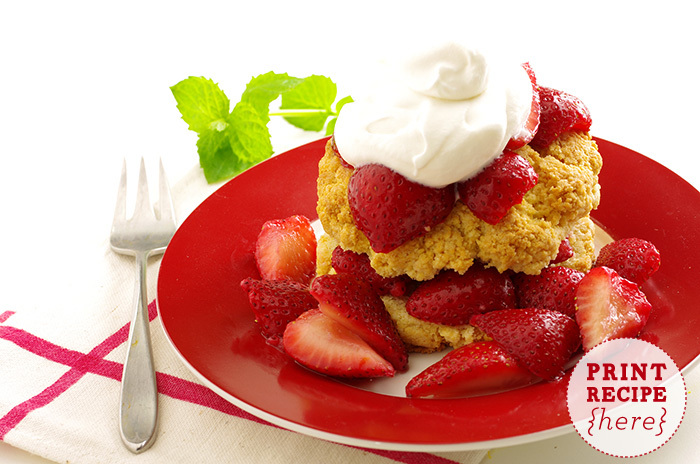 Let the shortcakes cool on a rack, then split them in half & fill with whipped cream and a generous scoop of the macerated strawberries -- ah!